Sharing your deepest feelings in front of a group of people takes a lot of courage. It can be very transformative and therapeutic. This is what the Art with Heart Chill and Spill curriculum empowers students to do—it is a great tool that allows youth to navigate their emotions. Art with Heart is a nonprofit organization that uses art to help kids heal through their creative expression resources. The day that Antonio confessed that even though his mother, who struggles with alcohol dependency, abandoned him, he still loved and cared for her. This young man took a huge step towards maturity and forgiveness, opening his heart while reading aloud his powerful last word letter, setting him free from his feelings. Many of our program participants grow up in households without paternal or maternal figures or formal education. Many have had to escape and survive situations that most people cannot even imagine. Their resilience never ceases to surprise me. My hope and motivation is to teach them how to cope with their emotions through creative expression. Often times, when I observe their art and listen to their stories, I become the student and they become my teachers. In every weekly class, the young men are able to express their varying emotions in a supportive, respectful, and safe environment. Our ground rules are very basic, as we all are looking for the same things: love, acceptance, and respect! I make sure that everyone understands that this is a special class, it is not about how cool their art projects might look, but about the process and what they learn about themselves. Life is full of challenges and opportunities. Creating art means taking risks. 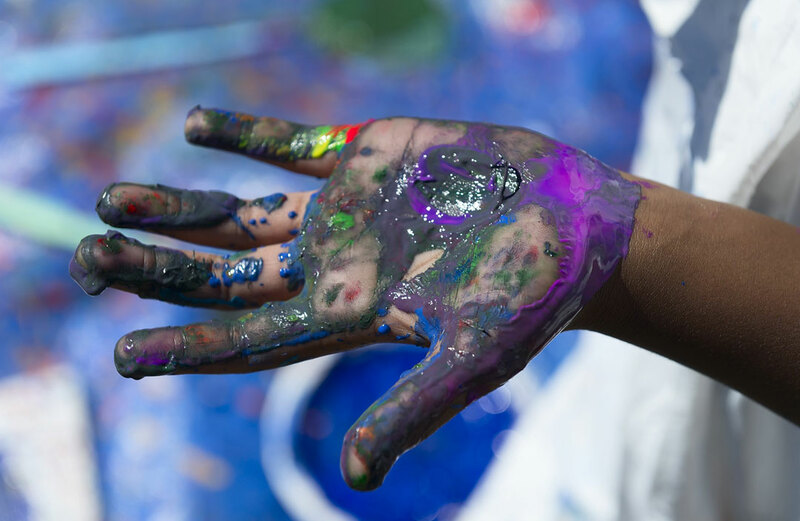 Creative expression means exploring, recognizing, labeling, and understanding feelings. Sometimes it means confronting big emotions. Often it means accepting, surrendering, and forgiving the people who have hurt us, so that we find space to be free and to grow stronger, exactly as Antonio decided to do! 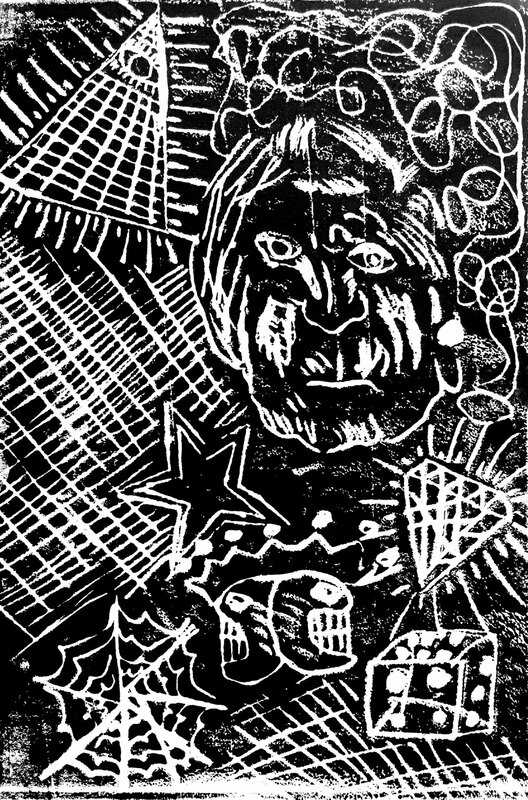 Images: Making My Way, linoleum block, printmaking ink. Made by a Friends of Youth resident during Art with Heart’s Chill & Spill Program, Age: 17. Courtesy of Art with Heart. 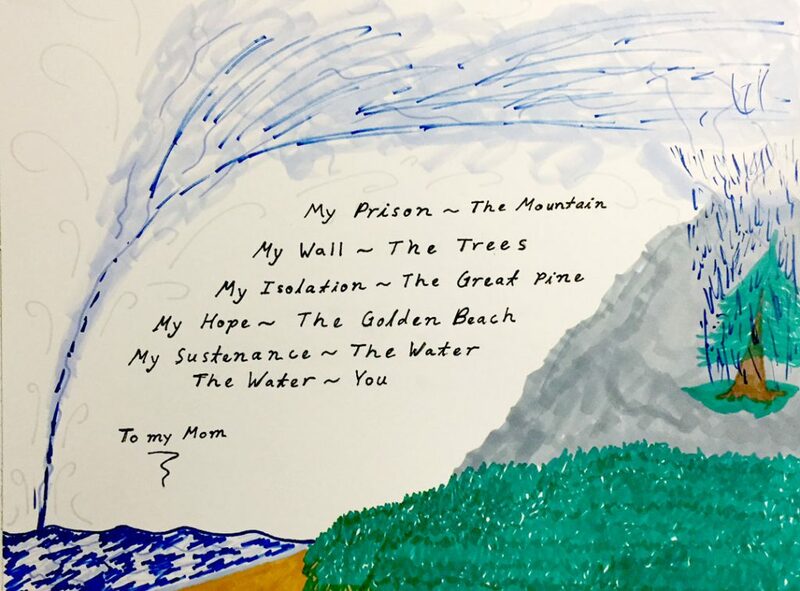 Photo by Alan Abramowitz, artwork by Art with Heart program participant at Brettler Family Place. Photo by Sera Rogers. artwork by an Art with Heart participant at Friends of Youth.